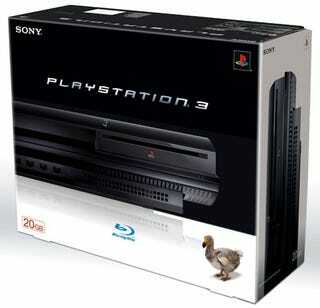 For the 20GB PS3, it looks like the end is near. Sony's official store, Sony Style, as well as the websites of Best Buy, Gamestop and EB are no longer carrying the 20GB model, instead only offering its buffer, more expensive brother. While it remains on Amazon for the time being, there's no telling how much longer it will stick around. Add this to the fact that the 20 GB version was never available in Europe, and it smells strongly of an SKU execution. We kind of knew it was coming. I mean, honestly, who actually bought one of them? Now we're just wondering how long it'll be before Microsoft drops the hammer on the Core 360, since three versions of a console seems like a bit much. Then again, there are 2353798 versions of Windows Vista.